A wise man is reported to have said “every great journey begins with a first step”. It is wise to be mindful of this and not get too carried away with one win in a test match away from home soil, even though it came against a top notch team as South Africa. However, sweet it may be. Having said that, this most recent win may have been a signal to the cricketing world that this new team has taken more than a first step on the journey back to the top. 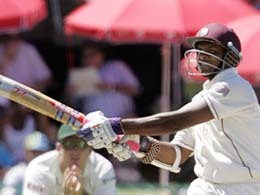 In the recent past both at home and abroad, the Windies have been embarrassed with regularity. So much so that they have become the laughing stock of world cricket. Despite hiring a high priced foreign coach and allegedly implementing many changes in selection process and preparation- many players on the current team have underperformed. Not producing the desired results remains puzzling to the die hard Windies fan. Many have stated that the regional board has been mostly to blame for this prolonged descent into mediocrity. Some have blamed the players union, while others put the blame squarely where it should lie – on the shoulders of the players. Still there are some who blame everyone connected with West Indies cricket for the lean and embarrassing years. To a degree all stakeholders should shoulder some blame. There is certainly enough to go around. Having been a long suffering Windies fan, I have endured the poor performances of the last six or so years with great sadness. The facts – devoid of insular politics and analysis, are that the Windies have been a bad team; even though they have had some exceptional individual players – most notably Lara, Chanderpaul, Gayle and Sarwan. Many observers during those years have come to the identical conclusion: that the team had lost the swagger, the pride in self and region and the will to win once displayed by their predecessors. Whatever the result of the remaining matches in the current series, West Indies appear to be definitely on the way to back to being a force to be reckoned with in world cricket.The players appeared unconcerned about the legacy of West Indies cricket often behaving like pampered, selfish, prima donnas. Instead of learning their craft they basked in individual accomplishments, however, minor they may have been. Former West Indies cricketers were heard to opine that, this new crop lacked the dedication and mental attitude to be successful professionals. Some openly questioned whether the current crop of players had any sense, basing these observations on the fact that many seem to make the same mistakes over and over again. Most disturbing was a report that, during the recently concluded World Cup, some players even complained that the sun was too hot to play cricket. Imagine that!!! They batted inconsistently, fielded badly and bowled poorly, most often played without apparent purpose, direction or even hostility. They had no effective leadership and many observers noted that even mediocrity did not serve to inspire the players. Against this backdrop it was most surprising, as a former national junior fast bowler, to review the bowling statistics after the recently concluded first test noting that the fast bowlers delivered only one no ball in the entire match. This was the first time in many years that our bowlers appeared to have bowled with a plan and seemed to have executed that plan to perfection. Similarly, too it was also heartening to note that the batsmen batted for the most part with discipline and purpose. Whereas the bowlers did it for the entire match, the batsmen were only able to do it for one and a half innings. Still this was significant progress from previous performances. This was very significant as consistent bowling was the backbone of the great West Indian teams of the past. Chris Gayle and the boys may have stumbled unto something here. At this critical time the present crop of bowlers are beginning to realize that good bowling will be the building block for future success. Many, including the legendary West Indies captain, Clive Lloyd, have attributed the teams improved performance to the leadership style and personality of the new West Indies captain, by default, Chris Gayle. If these accolades are justly deserved and he has made such an appreciable difference in team spirit, camaraderie, performance, renewed pride in themselves and their craft, then West Indies may indeed be on the way back. Whatever the result of the remaining matches in the current series, West Indies appear to be definitely on the way to back to being a force to be reckoned with in world cricket. No doubt there will be obstacles in the future. The WICB will have to decide who will be the captain – not an easy decision. Due to injury Ramnaresh Sarwan has not had an opportunity to show what he can do. What has been obvious thus far though is that the team has not responded to him in the positive manner it has to his stand-in, Chris Gayle. That fact alone may tilt the scales in favor or retaining Gayle as the permanent skipper. Both selectors and the Board must handle this decision with some delicacy and tact, traits that have been severely lacking in their ranks for some time. This decision must be handled in a manner so as not to upset the chemistry and pride which has been restored under Gayle. There has to be a way for both men to contribute to the rebirth of West Indies cricket without the insular acrimony which has continually plagued WICB decisions. Similarly, the selectors will have to utilize all their collective experience in selecting the right mix of players, so as to give the team the best chance to win. The new president, Dr. Julian Hunte, seems to have recognized this fact and appears to be taking steps to ensure there is one West Indies team. His appointment of the West Indies Players’ Association (WIPA) president to a non-voting member position on the board will serve to put all stakeholders at the table and reduce the acrimony and distrust which existed between players and board in prior administrations. His promise to seriously consider the recommendations from the Committee on Governance of West Indies Cricket; led by the Hon. P.J. Patterson, former prime minister of Jamaica, also bodes well for the game. For too long we have lagged way behind the rest of the world in development, training, marketing and caring for our players. The abysmal record over the past six or seven years evidences this fact. With the administration charting a new and more responsible course and the leadership of Gayle restoring the pride, camaraderie and performance the future appears bright. Let’s hope the coaching staff can provide the guidance needed to mold this reinvigorated team of young men in the image of their predecessors. Yes victory in the first test was a step in the right direction; Chris Gayle and the boys are now a force to be reckoned with again. I for one am overjoyed to see this new beginning. Jeffrey McLeod, is an attorney at law and former Jamaican national junior cricketer.